From Earth the Sun looks calm and never changing. It is a constant that rises and sets on schedule. Of course we now know that the Sun is quite active, with sunspots, prominences and solar flares. There are also more subtle changes on the Sun’s surface. 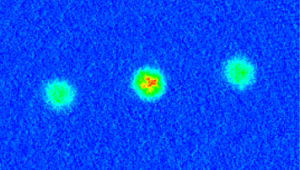 One of these is an effect known as granules, seen in the image above. 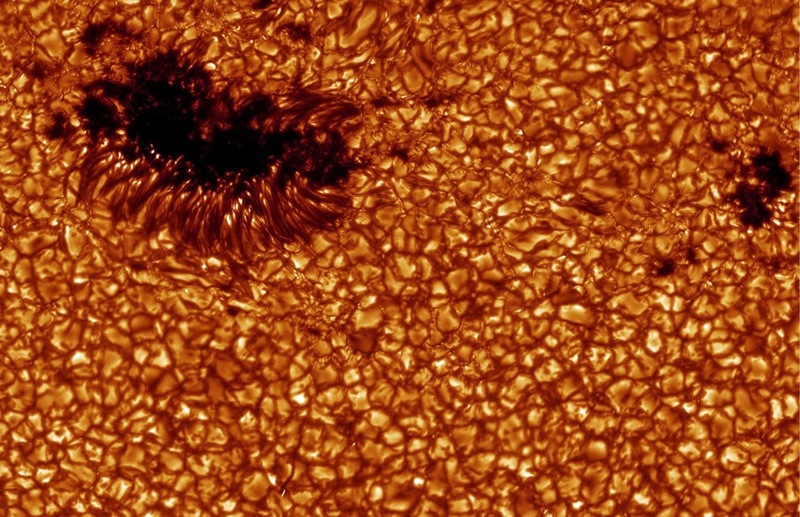 Granules are due to convection in the upper layer of the Sun. Since the interior of the Sun is hotter than the surface, cooler surface material (which is more dense) sinks toward the interior, and pushes warmer (less dense) material toward the surface. This rising and falling of material creates regions of upward and downward flow. As you can see from the picture, the central region of each granule is brighter than the borders. This is because the hotter material rises up in the center, while the cooler material sinks along the edges. If you’ve ever watched a pot of soup simmer, you’ve likely seen a similar effect, where the warm soup near the bottom of the pot rises in pockets similar to granuals. For the Sun this is a bit more complicated. The Sun is so hot that the material undergoing convection is actually a plasma. As a result it interacts strongly with the Sun’s magnetic field. But the result is similar, and in fact if you watch granules for hours you can see a slow simmering effect. So basically the Sun’s surface is a simmering plasma soup.